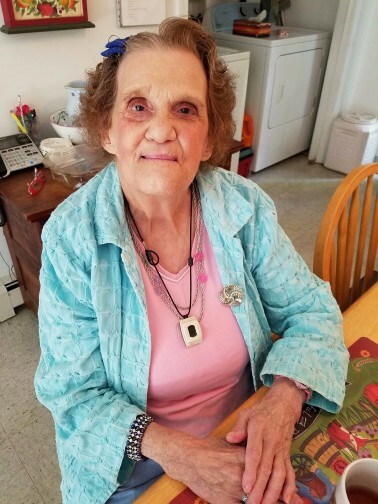 Faith Gloria DeRusha passed away on March 16, 2019 age 84. Born in Worcester MA to William and Genevieve (Baker) DeRusha. Faith was institutionalized in The Walter E. Fernald School in Waltham in 1940 for 16 years and then sent to the Taunton State Hospital for another 23 years. During her time in the institutions, Faith received no education but was subjected to electric shock treatments. In the late 1970’s, Faith was part of the first waves of deinstitutionalization and was sent to a halfway house in Hyannis. During her 39 years in the institutions, Faith Permanently lost all contact with her family. In 1981, Faith was referred to The Arc of Cape Cod’s Independent Living Program, one of the first programs in Massachusetts designed to assist people with developmental disabilities to learn the skills necessary to live on their own as a real part of their communities. Once Faith got involved with The Arc, her life started to change. Faith learned the skills she needed to shop, cook and maintain an apartment of her own with support from program staff. She enrolled in evening adult education classes in Barnstable and with the Cape Cod Literacy Council. Faith learned to read and write which was an important goal she set for herself. Faith also wanted to work and earn a living. Faith got a job at Acme Laundry in Hyannis in 1988 and worked there for more than 20 years prior to her retirement. In her years at Acme, she could be found nearly every morning having breakfast at the Sunnyside Restaurant. Faith developed many lasting friendships with people in Hyannis and other program members at The Arc who collectively became Faith’s Family. For many years and up to her passing, Faith lived with her best friend Leah and a support staff in a lovely three-bedroom apartment. A memorial service will be held for Faith DeRusha at The Federated Church, 320 Main Street in Hyannis on April 29th at 1 p.m. Faith requested that gifts in her memory be made to The Arc of Cape Cod, PO Box 428, Hyannis, MA 02601.